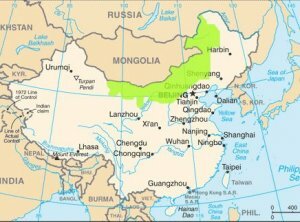 Southern Mongolia, known as ‘Inner Mongolia’ within the People’s Republic of China (PRC), geographically encompasses not only the Chinese ‘Inner Mongolian Autonomous Region’ (IMAR) but also large parts of other areas within China where Mongolian people have been living for centuries. ‘Southern’ translates as ‘Uvur’ in the Mongolian language, and refers to the areas south as well as west of the great Gobi Desert. On the other hand, the term ‘Inner’ is a translation of the Chinese word ‘Nei’, and this has had a long-standing effect on the history of the region. This is because through naming Southern Mongolia the ‘Inner Mongolian Autonomous Region’, the Chinese authorities are able to portray a false image that it has always been within China and an integral part of the country. The history of Southern Mongolia within China is marked with perpetual injustice and indignity. Starting from its annexation by the PRC in 1949 Southern Mongolia has undergone a series of political purges, ethnic cleansing, cultural assimilation, economic marginalisation and environmental destruction. The case of Southern Mongolia is not simply one of the people being denied their basic right to self-determination, but also of a people who have been subject to perpetual systematic persecution, a denial of their most basic human rights, dignities and cultural heritage. The state apparatus in China has been implementing hostile policies that directly and adversely affect the Mongolian pastoralist way of life, while also causing immeasurable damage to the environment. Within the last few years the consequences of these policies whose aim is to extract minerals from the region, as well as the violence associated with them have increased. Mongolian herders have been displaced through policies such as ‘ecological migration’ and ‘ban over livestock grazing’ leaving many landless, jobless and homeless. Moreover, through these policies China attempts to replace the traditions and cultures of Mongolians with more Sino-centric cultural characteristics. Thousands of Chinese state-run mining companies have come to occupy vast territories of Southern Mongolia, continuing to destroy the local economy by dumping hazardous waste in traditional herder grasslands. 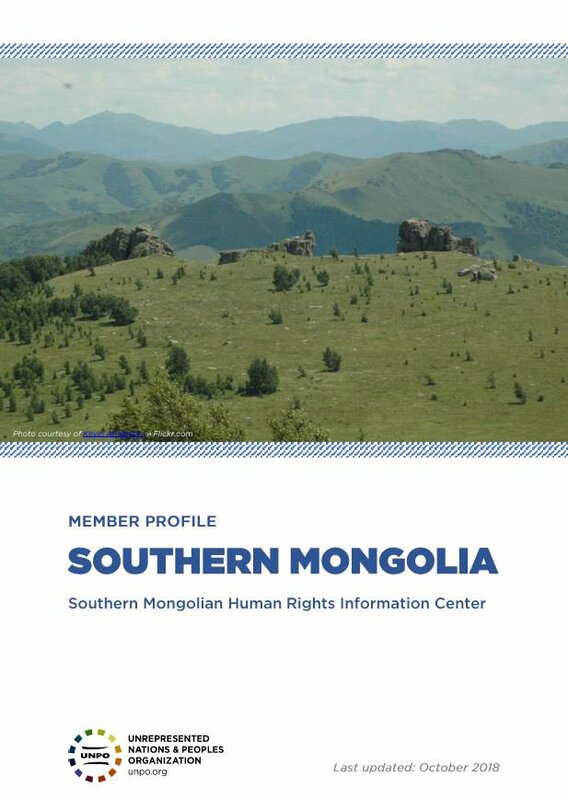 Southern Mongolia has been a Member of UNPO since 2007, although first the Member organisation was the Inner Mongolia People’s Party, while now it is the Southern Mongolian Human Rights Information Center (SMHRIC). The SMHRIC’s main goal is to establish a democratic structure in Southern Mongolia through gathering and distributing facts and information regarding the ongoing human rights violations within Southern Mongolia. Moreover, the SMHRIC aims to educate the Mongolian population about human rights and democracy through supporting grassroots organisations and political activists. UNPO supports the endeavours of the SMHRIC through advocating for its cause and raising awareness of the PRC’s discriminatory policies within the region in the European Union (EU) and United Nations (UN). Please download our Southern Mongolia Member Brochure.